Welcome to Manly Marina Cove Motel, Manly’s modern premier, boutique motel offering a variety of accommodation options. 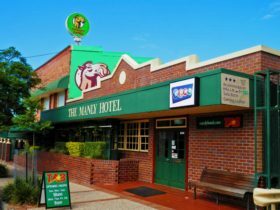 The Motel is nestled in the Manly marina, in the secure grounds of Royal Queensland Yacht Squadron, conveniently located close to the picturesque Manly Harbour Village and the adjoining Wynnum/Manly Esplanade and parklands. 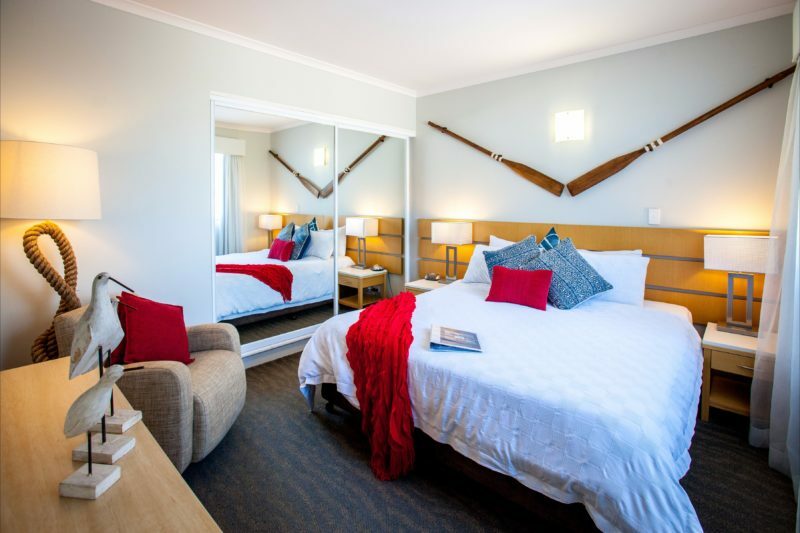 All rooms at the Motel offer guests individual patios and balconies while some have spectacular views towards Wellington Point, King Island and across the harbour. 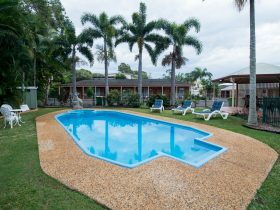 The Motel also features a solar heated plunge pool, guest laundry facilities, outdoor barbecue area, snack vending machine and a breakfast dining room serving continental breakfast each morning and cooked breakfast options are available on request. 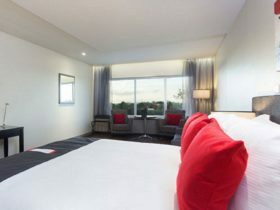 Each room provides guests with tea and coffee facilities, 55 inch Smart televisions with Foxtel viewing and free wi-fi, king size beds, reverse cycle air-conditioning, microwave and bar fridge. 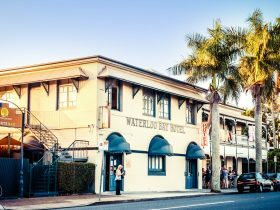 The Royal Queensland Yacht Squadron – waterfront licenced bar, cafe, coffee shop and restaurant. World class conference and function facilities available – perfect for corporate and leisure events. 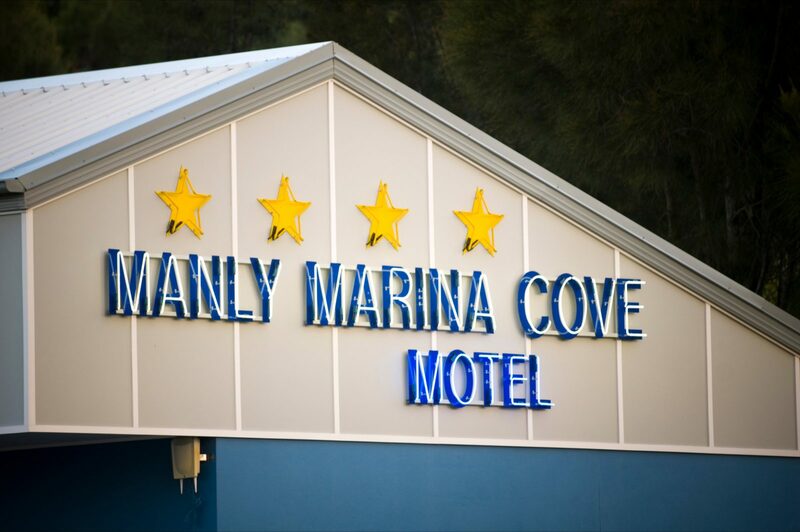 The Manly Marina Cove Motel is the place to stay for a great end to your day. Spacious and modern rooms with king size beds and fold out single lounge and the choice of rooms with a private balcony (some with views over the bay) or garden patio. The Studio Rooms are beautifully furnished with the inclusions of television, tea and coffee making facilities, reverse cycle air conditioning, safe, iron and elegantly appointed bathrooms with shower over bath. The first floor studio rooms were refurbished in August 2016. 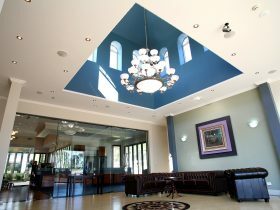 The rooms all have Foxtel and designated work desks with access to free wifi. The Family Rooms are large and modern, catering for families or larger groups. The rooms have a king size bed, single bed including a trundle and a fold out queen size bed. A desk is available for the all important work and all Family Rooms have a private balcony or patio facing towards Moreton Island and King Island. The rooms are large and spacious perfect for the large family or group, featuring a separate toilet to the bathroom. Two Family Rooms are located on ground level and two others on the first floor. 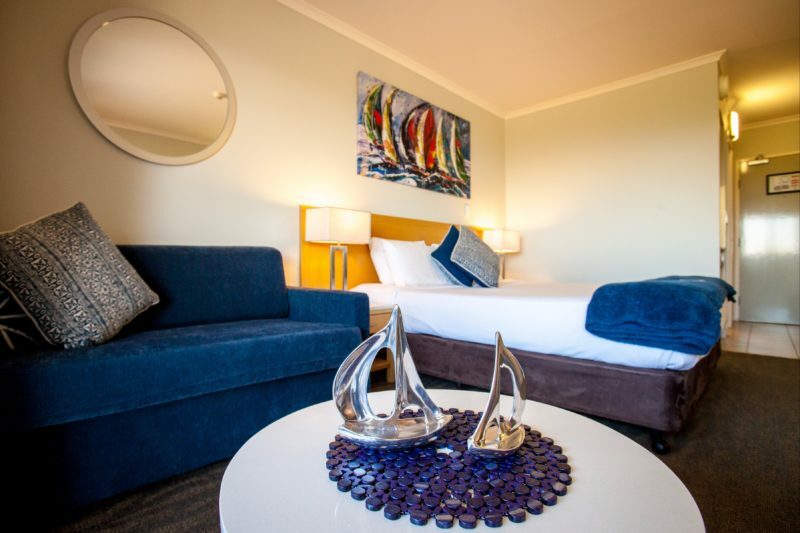 The luxurious Commodore Suite has a separate bedroom to the lounge living area consisting of a king size bed. The comfort of a private balcony overlooking Moreton Bay and King Island. Beautifully furnished with modern decor throughout adding that little luxury to your stay. 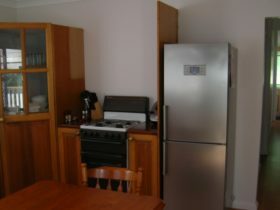 Tea and coffee making facilities, with pod coffee maker, reverse cycle air conditioner, safe, television, Foxtel, and desk with lamp. The perfect place to stay when needing a little extra room. Includes free wi-fi, daily servicing and secure convenient car parking. Price varies depending on room type and number of guests staying. Continental breakfast is available onsite.